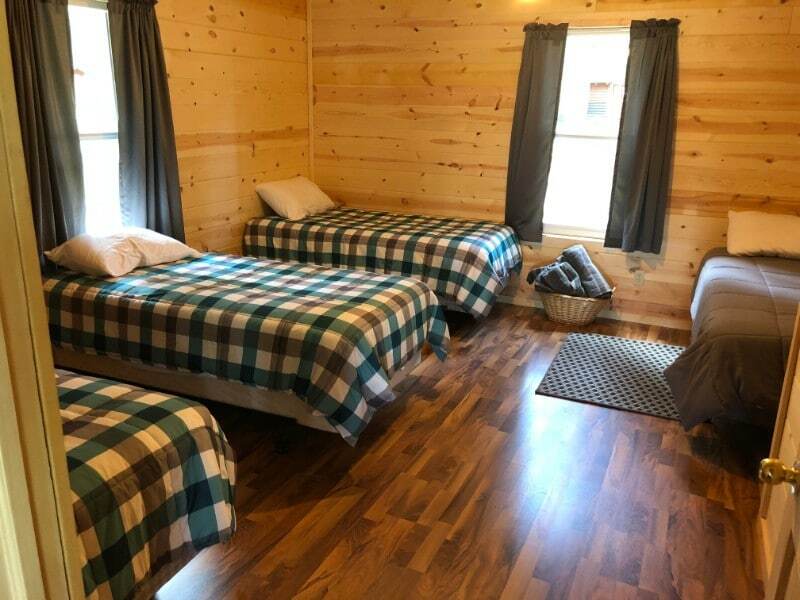 Cabin 5 is one of our modern cabins. 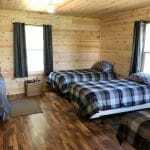 It was first building erected on the Wildewood grounds in the 1960’s. 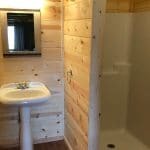 The front portion features the original log construction and houses the living area and newly remodeled kitchen. 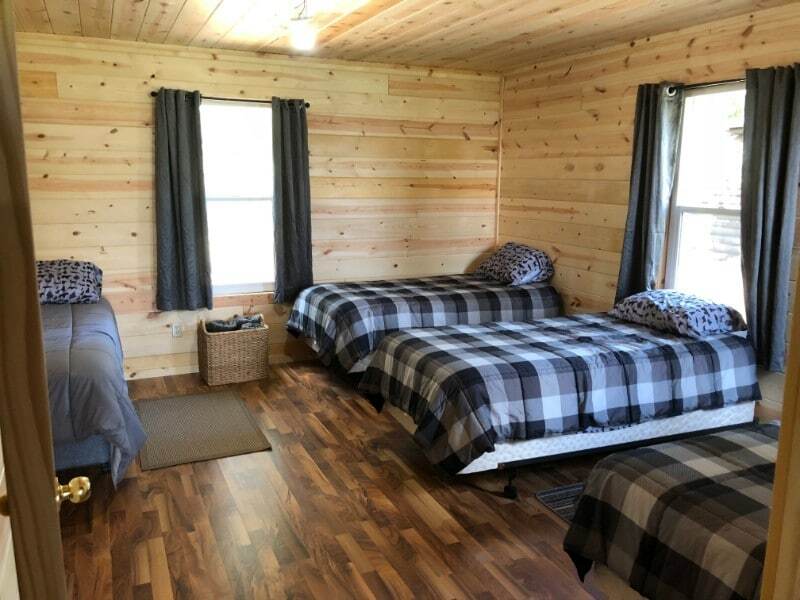 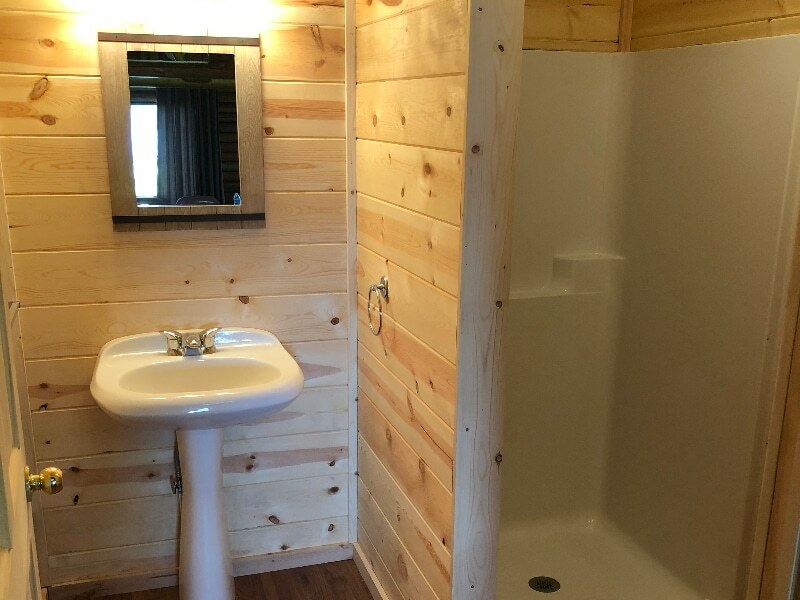 In 2018, the back portion of the cabin was rebuilt and now houses two spacious bedrooms and a bathroom with sink and shower with hot and cold running water throughout the cabin. 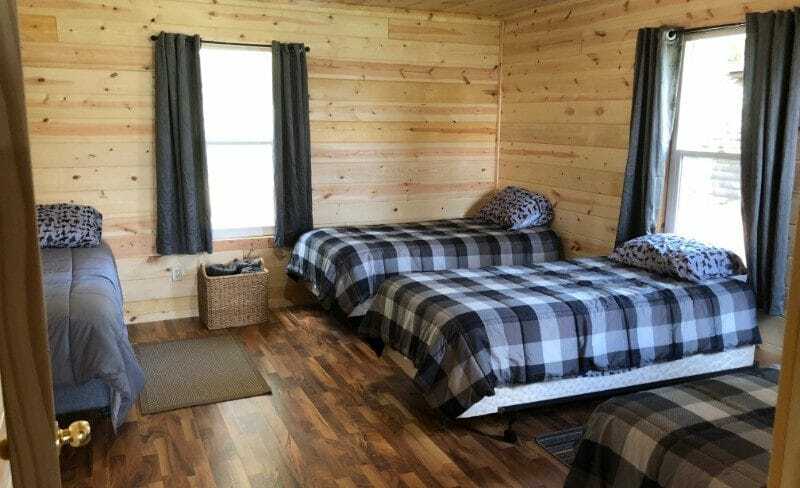 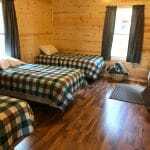 The cabin’s balance of new and old, great lake view, and close proximity to the dock have made it one of our most popular cabins for large groups.